Evaluate Energy’s upstream M&A review for 2015 showed that global deal value was down by 4% on the total seen in 2014, mainly due to the well-publicised price collapse forcing many companies to focus on merely surviving rather than any growth or acquisition strategies. Nowhere was this more apparent than in the U.S. shale industry, where the reported total deal value dropped to a six-year low in 2015 of $12 billion, which is a 76% decline on the total in 2014 of around $50 billion. The shale industry in North America was strongly cited as one of the chief instigators for the change in policy by OPEC. The surprise emergence of the resource over a decade ago arrested a slowly declining U.S. production rate and ate away at potential market share that OPEC could have satisfied through its spare production capacity. It was envisaged by OPEC that this low-margin production method would be hit the hardest by a lower oil price and would contribute to a re-balancing of the industry. However, though it has dropped, shale oil and gas production in North America has not been hit as hard by the price downturn as some expected. 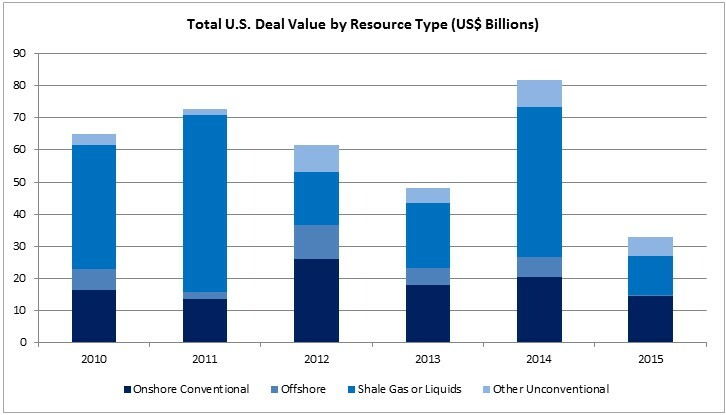 M&A activity within the shale industry stands in stark contrast to production and has not displayed anywhere near the same durability or resilience. There was also only one shale deal over $1 billion in 2015, with Noble Energy acquiring Rosetta Resources for $3.8 billion. Before the deal was announced in May, Rosetta’s debt to equity level already stood at a high rate of 137.1% in Q1 2015, which would have inevitably risen as the year played out. 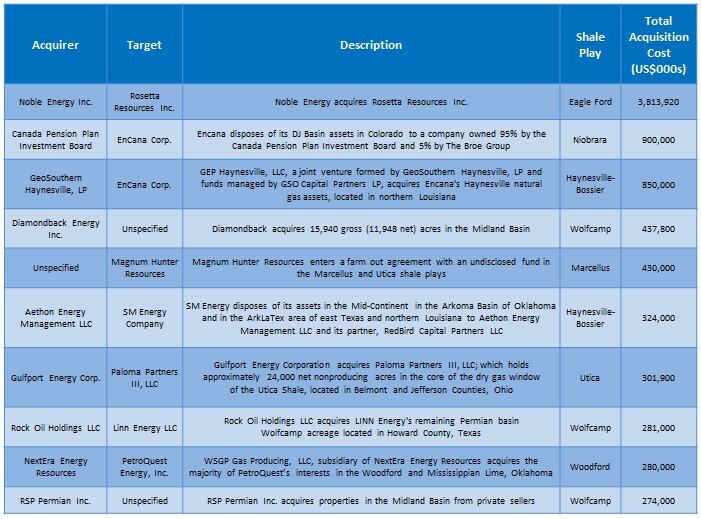 Despite this, Noble Energy was keen to gain Rosetta’s assets in the Eagle Ford shale play and Permian basin while they were still at a historically low price. Production during the year from the Eagle Ford play and the Permian basin have proven to be relatively robust compared to other areas of the United States, which highlights the comparative advantage in netbacks in these areas. This advantage has also been seen through M&A activity this year. M&A spends in the Permian basin and Eagle Ford dropped by 49% and 44% respectively from 2014 to 2015, which are both significant, but far less than the 85% fall in the Bakken play, due to its higher break-even cost of production. 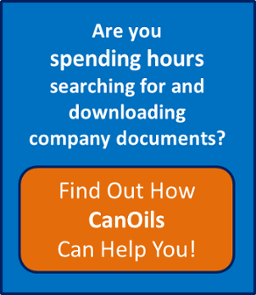 Companies have been struggling with significantly falling netbacks in the Bakken all year. 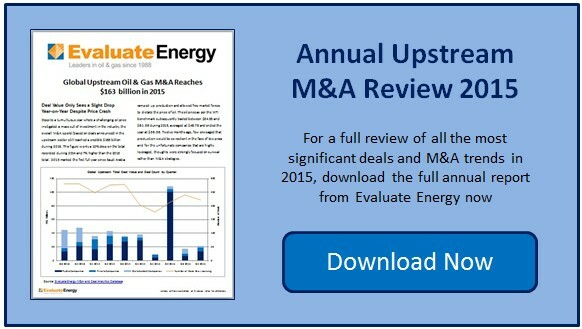 All data in this report was sourced from the Evaluate Energy M&A and Deal Analytics database, and this report forms part of Evaluate Energy’s Global M&A Review for 2015, which provides detailed analysis of 2015’s $163 billion of upstream deals, focusing on the most significant deals and M&A trends of the year.